Need some help finding the perfect gift for your significant other? We've created this post to give you the top 10 Christmas gifts for her in 2017. Listen up, guys. 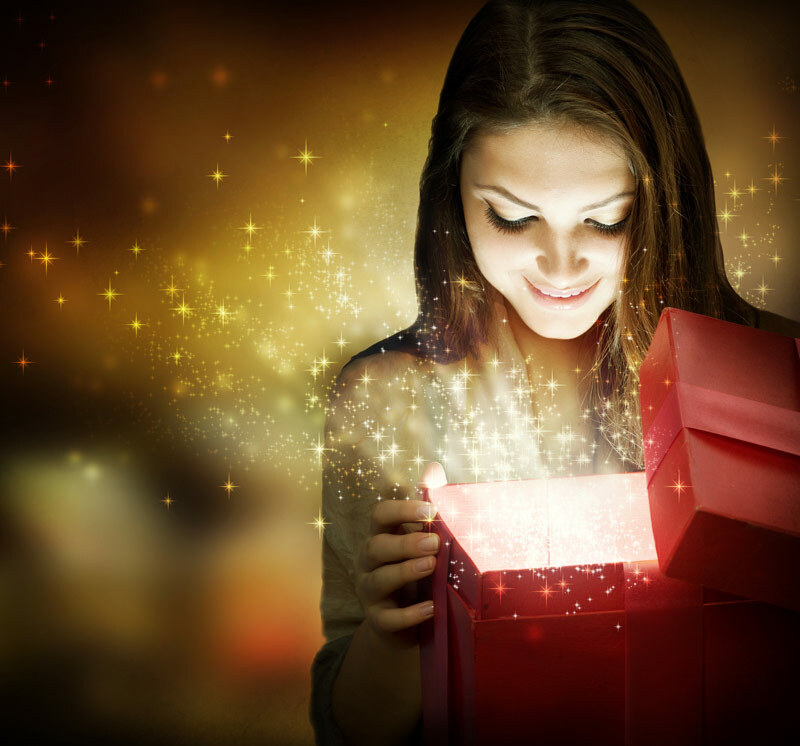 We hate to break it to you, but it's time to start thinking about what to give your wife, fiancée or girlfriend for Christmas. I mean, you could always leave it to the last minute and then scramble on December 24th, but the best Christmas gifts for her require a little extra planning. Not to worry, though -- we've got the scoop on some of this year's hottest gift items, as well as a few suggestions for classic, no-fail presents that are sure to please the special woman in your life. Fitness trackers have been around for a while now, but if your girlfriend doesn't care for the way traditional watch-style trackers look, surprise her with a tracker that masquerades as beautiful jewelry. 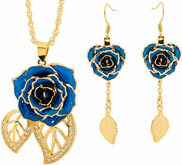 The Bellabeat Leaf can be worn as a pendant or bracelet. It tracks steps, heart rate, calories burned, and even sleep and menstrual cycles. Is there anything better than slipping between a set of crisp cotton sheets at the end of a long day, or cuddling up with a fluffy down comforter? Or, maybe just getting to sleep in with extra comfort on the weekends. Give your girlfriend the gift of warmth with this goose down comforter. Its ample king size makes it big enough that she won't need to steal your covers. "Alexa, play a romantic music video." That's what your wife will be saying when she opens up her new Echo Show, the latest must-have home gadget. The Show does everything its predecessors did -- stream music, answer questions, order a pizza, call an Uber, set a timer -- but with a screen. It's a hands-free way to watch video content, browse photos, make video calls, monitor the home's security, or even keep an eye on the napping baby without having to run upstairs to the nursery! Subscription boxes are all the rage these days. And what better way to show your love than by making sure your sweetie receives a box full of her favorite things each month? There are subscription boxes for tea lovers, bibliophiles, fashionistas, sci-fi fans, knitters, foodies...the list goes on and on. One of the original subscription boxes, which is still wildly popular, is Birchbox. It offers a selection of sample-size haircare, skincare, and cosmetic products, as well as the opportunity to buy full-size products with free shipping and to earn loyalty points toward future purchases. If your wife enjoys cooking, make it even more of a pleasure for her by gifting her with a high-quality chef's knife. This santoku from Dahlstrong gets great reviews and will make her weekly meal prep an absolute breeze. The country went Wonder-Woman crazy during the summer of 2017 with the release of the blockbuster Gal Gadot flick. Show the feisty, fearless female in your life that she's your Wonder Woman with this cozy retro-styled hoodie. 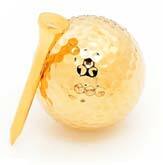 Roses are red...but wouldn't they be even better if they were 24-karat gold? There aren't many women who don't enjoy the gift of flowers, but flowers fade all too fast. 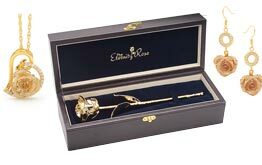 Now you can express your everlasting love with an Eternity Rose. 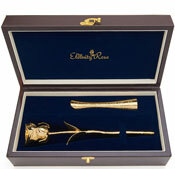 Eternity roses are real roses, preserved by being dipped in pure gold, platinum, silver, or other beautiful finishes. 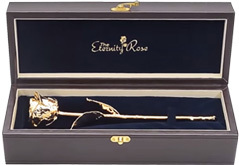 Have it displayed in the elegant leather case it arrives in, or purchase a matching vase from The Eternity Rose to let your love display this stunning token of, well, your love! What the heck is a bath bomb? No, it's not some extreme way to prepare your bathroom for remodeling. It's a sphere of deliciously scented goodness that fizzes when dropped into the bath -- and even if you've never heard of them, we can almost guarantee that your wife has. And that she wants some for Christmas. This Lifestance gift set offers nine organic bath bombs made with premium ingredients like essential oils and shea butter. Did you know that you can order house cleaning services through Amazon? It's true. What a time to be alive! Choose from a one-time service or a recurring visit from local house cleaning providers, with all the ease and convenience of ordering a DVD. You can tailor the service to the size and needs of your home. This might not be the most romantic of Christmas gifts for her, but it will definitely be appreciated. Protip: to really up the impact of this present, bundle it with a spa gift certificate, to be redeemed by your wife while the cleaners are doing their thing. Does your wife like to relax with a glass or two of wine while she's snuggling with you on the couch to watch the latest episode of This Is Us? Does she usually just grab a box of whatever's relatively inexpensive? Then treat her to a supply of the good stuff. Whether she likes red, white, rose, sparkling, or all of the above, ask the experts at your local wine shop to put together a case of selections she'll really enjoy. You can also opt for a tasting variety pack like this one from Washington's Chateau Ste. Michelle. While you're at it, why not throw in a novelty wine glass that proclaims her the "Best Wife Ever"? What Christmas Gifts for Her Will You Buy? Of course, you know your girlfriend, fiancée or wife best. She may be the type that really appreciates a romantic gift, or maybe she would prefer something to make her everyday life easier. Jokes may get around about husbands who buy their wives vacuum cleaners as presents and end up sleeping on the couch for a week as a result. However, a new robot vacuum or that super high-tech cordless one she keeps talking about might be the most cherished of all Christmas gifts for her. What are you planning on getting for that special lady in your life? Leave us a comment and let us know!